Showing results by narrator "Muwafaq al-Ahmed"
A great medical scientific discovery that announces the end to animal diseases - mad cow, bird flu, and foot and mouth disease. New scientific medical discovery in Islamic method of animal slaughter and without the use of any stunning method. Today we stand before the medical fact of pronouncing "the Name of God, Allah is greater" over animals when slaughtering. It is mentioned in a unique scientific research project unveiled by a group of professors, physicians, and scientists. Let us seize the opportunity to gain a span of life compared to which our worldly life is not worth mentioning. Let us start now, for when death knocks at our door, regret will avail us of nothing. At that time, how great will be the loss of those who turned away from their Provider! This book establishes and clarifies the true method of practicing cupping and in manifesting the scientific precise rules of true scientific hygienic cupping. These rules control the cupping operation, therefore they prevent any side effect and make it very fruitful. This book actually helps listeners differentiate between true cupping and the other false method of applying cupping. What wisdom lies behind the pilgrimage? What benefit comes from its strange rituals? Why should the pilgrim dress in white, untailored cloth? What is the wisdom of circumambulating a big stone named Al-Ka'ba? What does the hajji (pilgrim) benefit from kissing the Black Stone? What is the purpose of walking quickly to and fro between Safa and Marwa? What is the importance of standing on a mountain named Arafat? What is the purpose of throwing seven pebbles? In the same way the eaters rush upon their bowl, all cultural circles in both East and West have rushed upon the Islamites, criticizing and defaming. 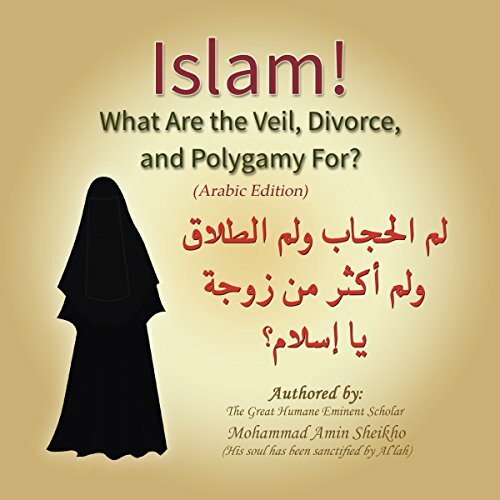 They accused us of encroachment upon women's rights, so they rendered their unfair judgment that declares that we, the community of Moslems, are enemies and tyrants of woman; nay, we are a nation that all other nations laughed at for its negligence and oppression, particularly in regard to the issues of divorce and polygamy. In this divine little book you will find discussions of many stories and events linked to the prophet Mohammad (communication with Al'lah and peace are through him). These stories have been mentioned in the famous historic references.